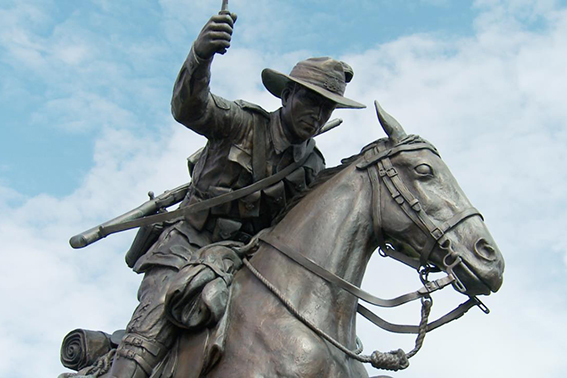 When Charles Shewring, CEO of the National Institute for Socio-Economic and Environmental Research (NISER), decided to produce a film celebrating the First World War equestrian history of the Sunshine Coast, he perhaps didn’t realise the scope of the project and the surprises along the way. The short film tells the stories of local Australia Light Horsemen from Queensland's Sunshine Coast region. It's based on interviews, recollections and historical re-enactments. Mr Shewring explains the rationale behind the film, titled The Greater Sunshine Coast Anzac Equestrian History Project. 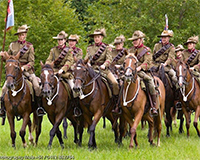 "We thought that the substantially untold story of the equestrian Anzacs would lend itself to a short DVD and that this would especially appeal to younger people via social media," said Mr Shewring. He set about engaging the locals in the project, including professional film-maker James Muller of Earthbase Productions, and Lilly Shewring and Jonas Tiexiera from the MARACCAS youth group. Local scriptwriters and interested people helped out with the script and interviewing. Filming took place over several months all around South East Queensland, including in Cooroy, Hervey Bay, Gympie, Maleny, Caloundra, Toogoolawah, the Lockyer Valley, Boonah, Ipswich and Brisbane. According to Mr Shewring, an unexpected discovery during the project was the Maryborough Military Museum. "This museum has the largest collection of Gallipoli medals in the world, including three floors of often unique memorabilia relating to the First World War and the Anzacs. They also have items relating to Major-General Sir William (Billy) Glasgow from Tiaro as well as another soldier's pictures, letters, and the camera and photographic gear he used in the campaign." Mr Shewring believes the project has lasting significance for the region, celebrating as it does this unique part of our cultural heritage. 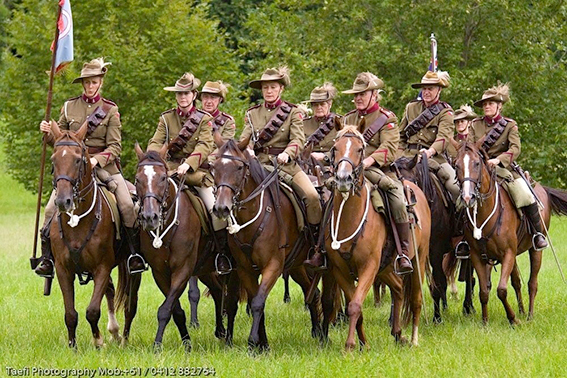 "It was a privilege to film the many dedicated and passionate re-enactment troops who keep the equestrian Anzac traditions alive. 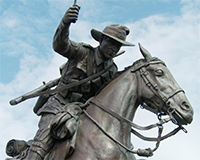 Our resulting film, which starts with the unveiling ceremony of the life size statue of a light horseman leaping the trenches at Beersheba located at Hervey Bay, was officially launched on 22nd April 2015 at Cooroy RSL." "Following on from the movie we are now producing a glass art and ceramic tribute to the 5th Light Horse regiment which is being installed in the NISER grounds at the Tuchoki Forestry Reserve located in Pomona."